SARASOTA (WWSB) - The start of the day will be partly cloudy and mild with temperatures running a few degrees warmer than yesterday and more humid. By afternoon, with a high temperature near 80, our clouds will start to build and an inland shower will be possible. The winds will begin to shift to the southwest and west and our humidity will spike. 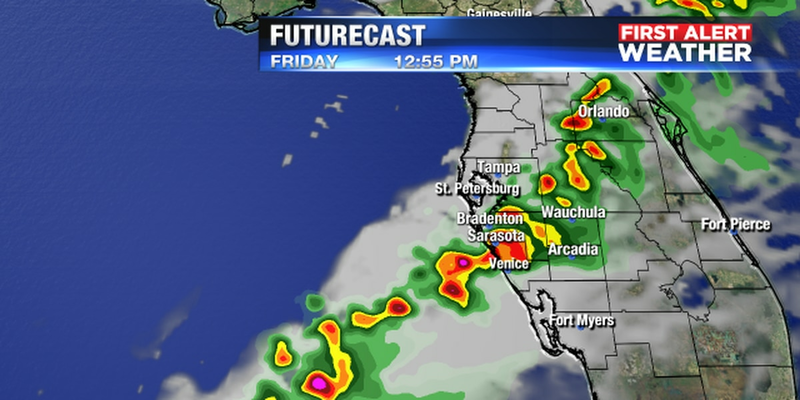 This will set the stage for rapidly increasing evening and overnight rain chances and breezy winds. There will be a few scattered showers for tomorrow morning drive time but by noon the skies will begin to clear and sunshine will return. Despite the sunshine our breezy winds will keep our temperatures from rising and our Wednesday high temperate may be reached just after midnight. Breezy winds tomorrow and Small Craft Advisories will likely be needed. High today is 80 and tomorrow 70. 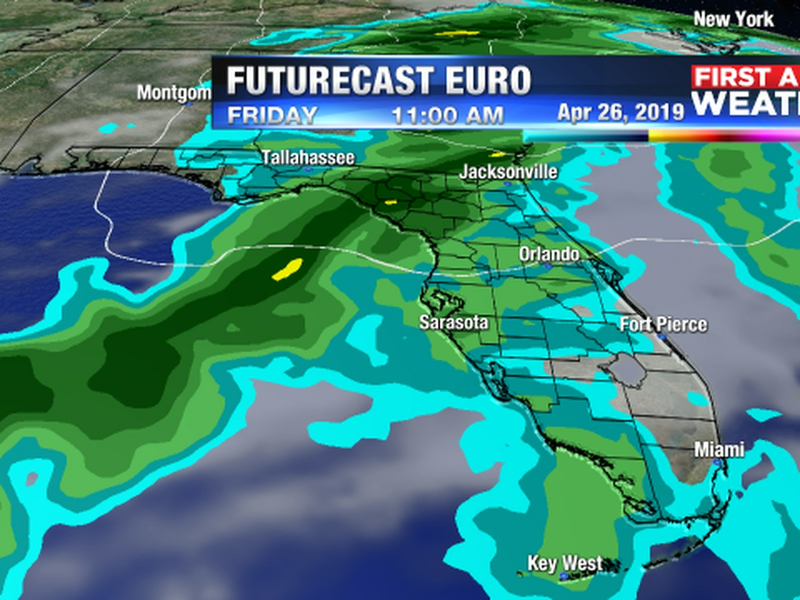 A storm system will be pushing a cold front through the Suncoast on Friday afternoon. 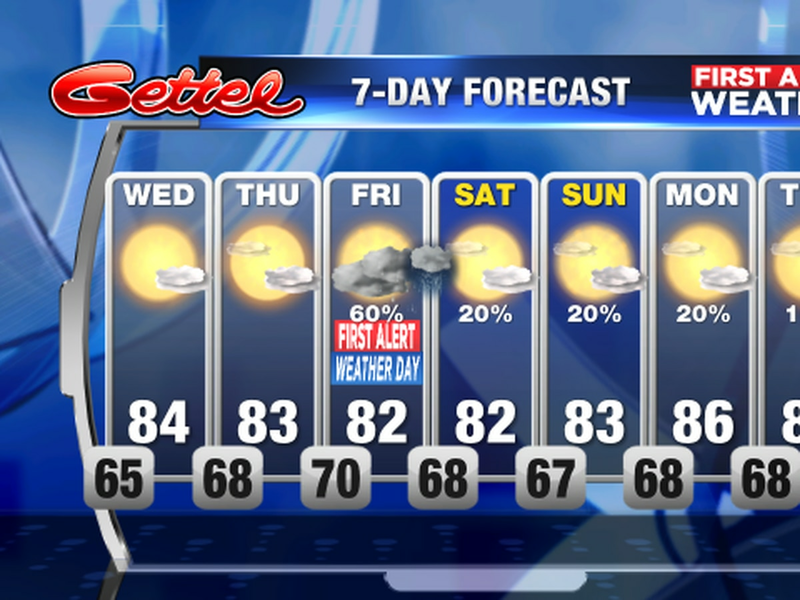 Winds will begin to shift to the south today and humidity will continue to rise. There will be a few more clouds in the sky today and the afternoon high in the mid 80′s will feel more humid.